Behavior Disorders: Support Group for Parents and Teachers: How common do ODD teens change their behavior when around others? How common do ODD teens change their behavior when around others? My 15 yr old son has ADHD & ODD… high anxiety, has controlled his urge to pull out strands of hair eyebrows and eyelashes... had him in good therapy group since he was five... past 11 yrs taken its toll on family... however when son visits my brothers (his uncles)he suppresses his odd urges, yet at home he is a monster… he happens be 2 ft taller than me as well as 200 pounds …what we’ve come to call his "bulling" for hours on end... how common do ODD teens change their behavior when around others. The symptoms of ODD are usually seen in multiple settings, but are usually more noticeable at home or at school. So it’s not too surprising that an ODD youngster does not “act-out” everywhere he/she goes. • Always build on the positives, give the youngster praise and positive reinforcement when he shows flexibility or cooperation. • Maintain interests other than your youngster with ODD, so that managing your youngster doesn’t take all your time and energy. Try to work with and obtain support from the other adults (teachers, coaches, and spouse) dealing with your youngster. • Set up reasonable, age appropriate limits with consequences that can be enforced consistently. 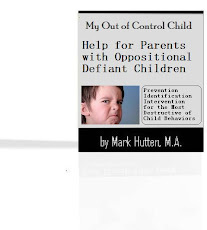 • Take a time-out or break if you are about to make the conflict with your youngster worse, not better. This is good modeling for your youngster. Support your youngster if he decides to take a time-out to prevent overreacting.